Takao is a lovely village in the Kitayama Mountains about 15 kilometers northwest of Kyoto. 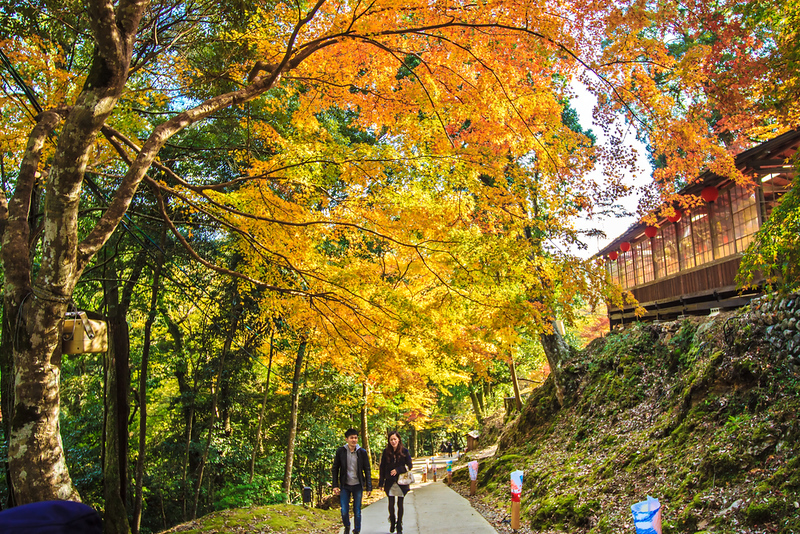 It rivals Kurama & Kibune as the single best daytrip out of Kyoto for nature lovers. About one 50 minutes northwest of Kyoto by bus, Takao feels like worlds away. It’s a small village that’s home to three superb temples: Jingo-ji, Saimyo-ji and Kozan-ji. The first two easily rank among my most favorite temples in the Kyoto area. Best of all, you can do a brilliant hike from Takao down to Hozukyo (on the JR Sagano-San-in Line). The hike from the hamlet of Takao down through the mountains west of Kyoto to the train station at Hozukyo is one of the best day hikes near Kyoto. It includes two superb temples, a crystal-clear river and a magical waterfall. Momijiya Annex is a magical riverside retreat with private cabins and private outdoor bathtubs. It’s a fantastic choice for a one- or two-day retreat from the world. By bus from Kyoto Station: Take a JR bus from the stand outside Kyoto Station and get off at the Yamashiro Takao stop (50 minutes, Y500). From the bus stop, walk down the steps about 50 meters before the bus stop. By bus from Nijo Station: Take Kyoto City Bus #8 and get off at Takao. From the bus stop, walk down the steps about 50 meters before the bus stop.